Every year the hottest west coast artists decamp L.A. and head to the Coachella Valley Music and Arts Festival. The hottest food artists that is. 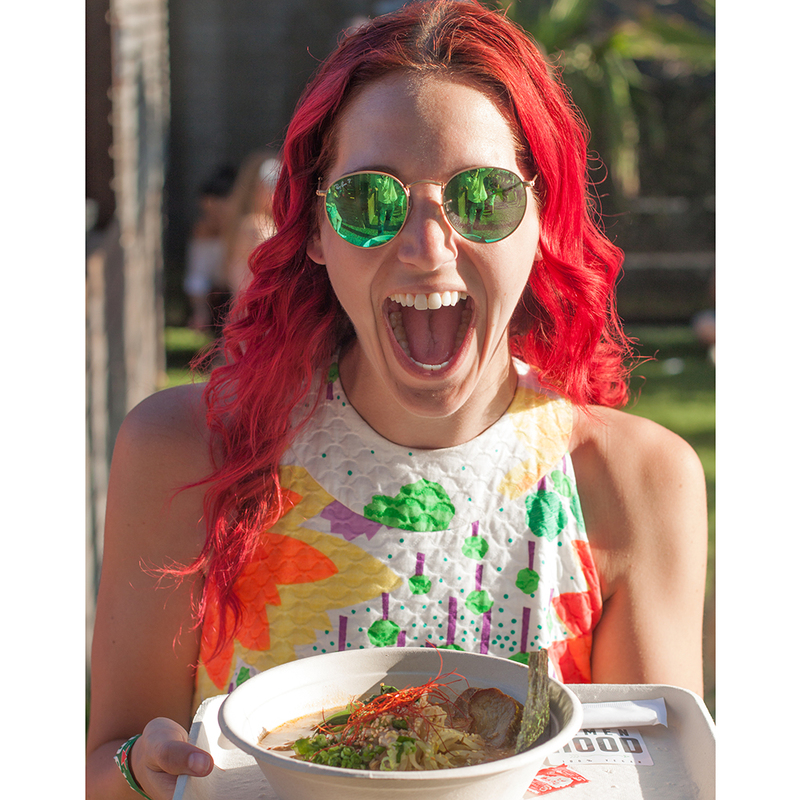 Here's what we ate this past weekend and what you should be eating at Coachella. 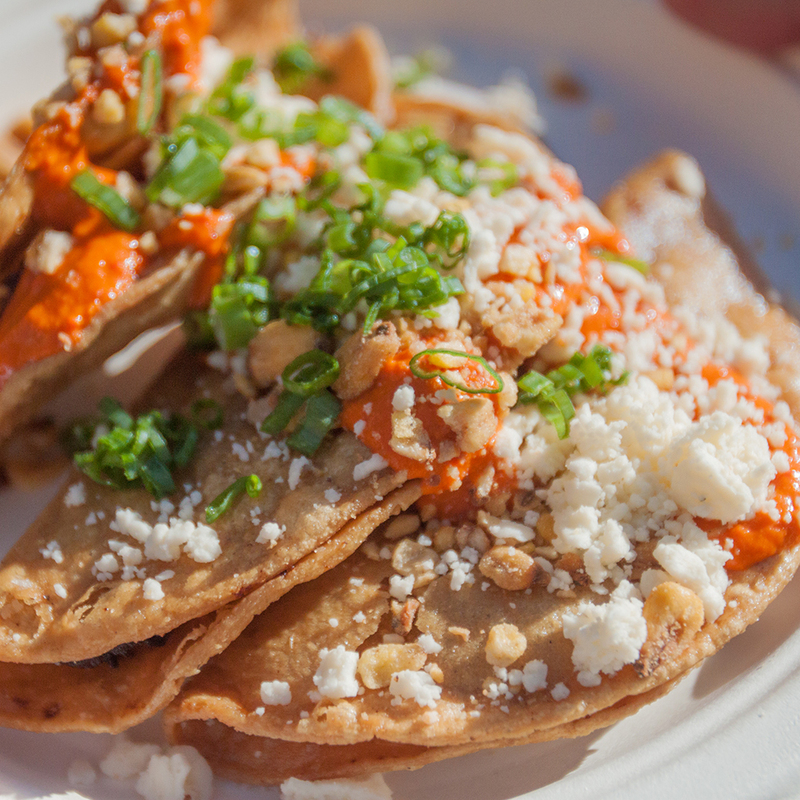 What started as a two person street cart in Los Angeles has become a popular food truck and now a pop-up at Coachella. Ramen from Grand Central Market’s Ramen Hood. 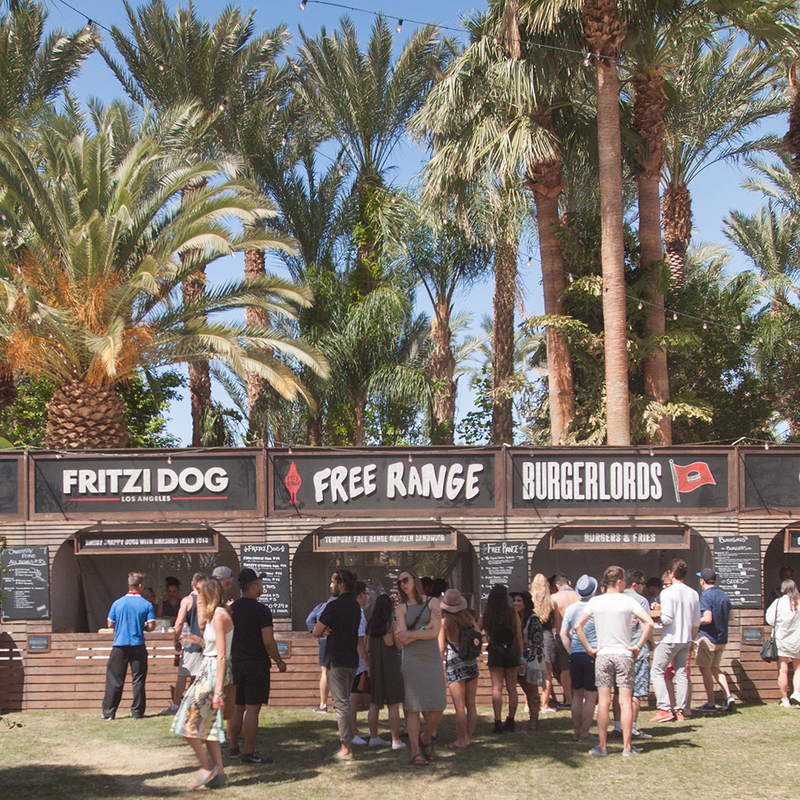 Now open in the Coachella Rose Garden. 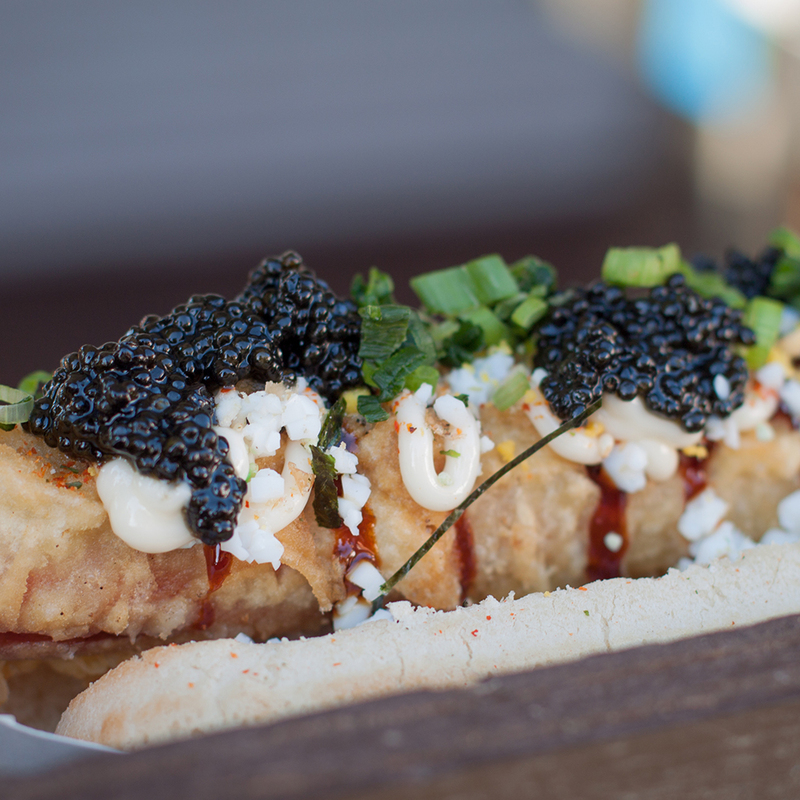 Caviar improves most things, including the most expensive hot dog at Coachella. The $100 hot dog by Jeffrey Lunak of Iron Chef fame. Vendors in the VIP section just off the mainstage. Enjoy amazing food paired with the dulcet tones of Ice Cube and Guns N' Roses. Can't decide? Try them all. 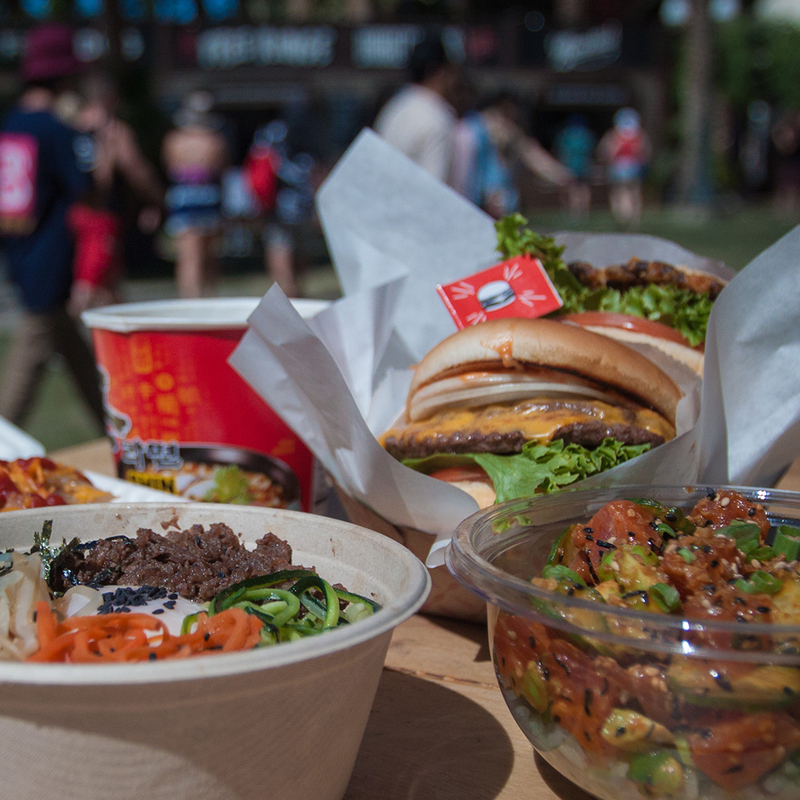 1.Poke by Chef Dakota Weiss of Sweetfin Poke; bowls by Chris Oh’s Hanjip Korean BBQ; burgers by brothers Fred and Max Guerrero of Burgerlords; Chef Neal Fraser’s Fritzi Dog. All found in the VIP section. 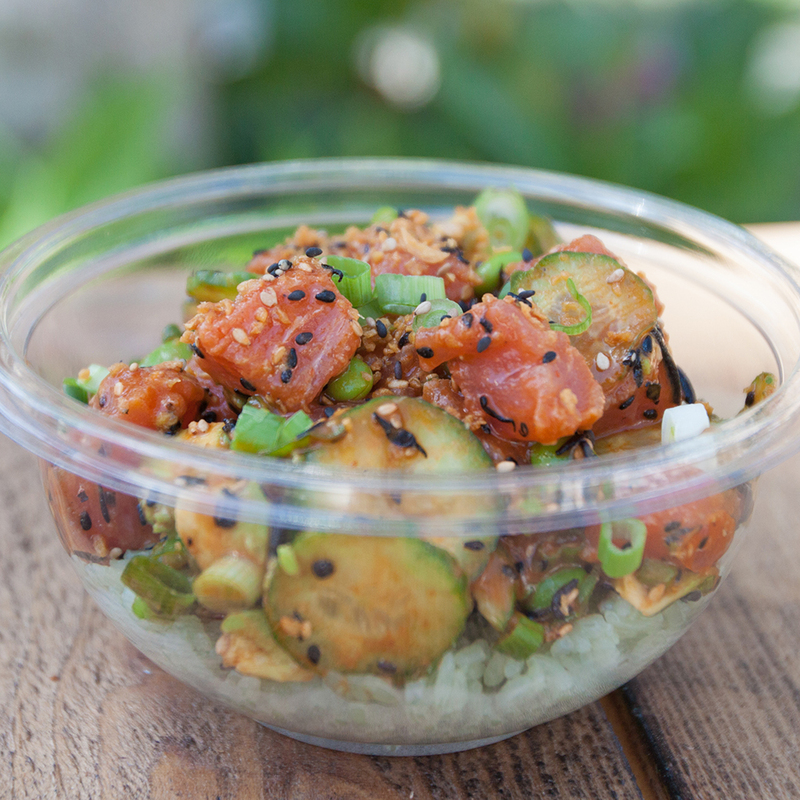 Poke by Chef Dakota Weiss of Sweetfin Poke. 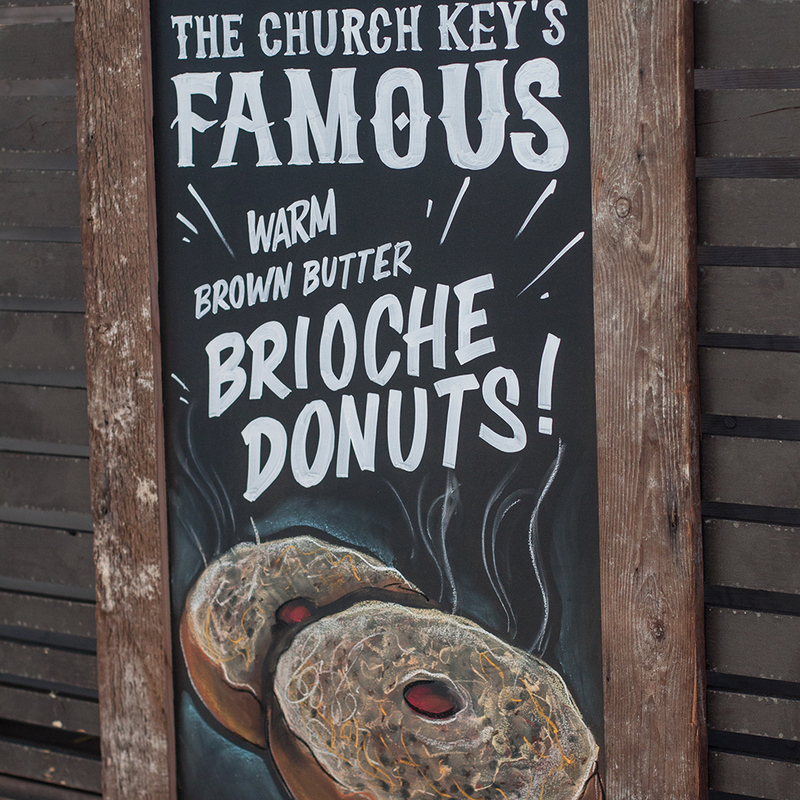 Warm butter brown brioche doughnuts courtesy of Chef Steven Fretz and The Church Key. 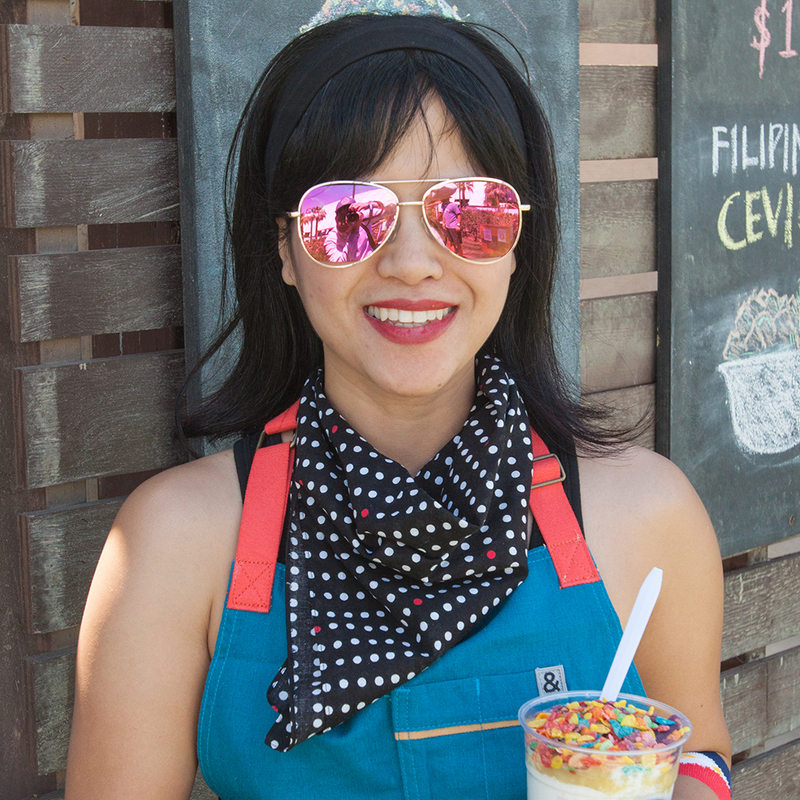 Shaved ice from Pastry Chef Isa Fabro's pop-up in the Rose Garden.